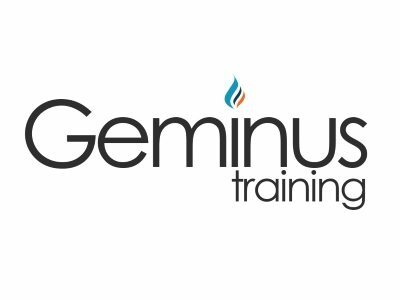 Geminus Training helps you become better than your competition by thinking differently. We achieve this by combining the knowledge, experience and creativity that already exists within their workforce. When your staff all think in an enterprising manner, every aspect of your business starts to improve itself from the inside-out – this combines the best elements of Innovation, Enterprise, Entrepreneurship and Intrapreneurship. Our client base is extensive and ranges from pre-start entrepreneurs through to establish organisations with a large and diverse workforce. The tools we use have been designed to be highly effective across any business sector – they rely solely upon the know-how and intellectual potential that already exists within your business. We firmly believe that if you’ve got a business, we can help you improve it. We offer a range of fixed or bespoke support packages and courses to help companies and individuals on their various respective growth journeys, helping you realise everything you’re capable of achieving. Our main offices are in Lancashire, supported by an agile team of associates who are able to respond at short notice. Involve your entire workforce. Few business owners realise the extent of the knowledge, experience and creativity within your entire organisation, and as owner-managers it’s easy to think that we know more that the people who work for us. The honest truth is that you employed them because they’re good at what they do – so why not take their opinions on board for such an important decision? Lancashire has such a diverse workforce and skill set. While The vast experience distributed across the Fylde, Central Lancashire and Pennine regions bring together a unique set of capabilities and competencies. Combine this with the can-do attitude in the county, and we have all of the ingredients for a highly productive and prosperous commercial region. History shows that while business support is essential to growth, having a series of dispersed services helps no-one, and leads to confusion. Each county needs a “growth hub” – an area where prospective clients can seek impartial advice on how to grow their businesses. It is important that we become involved not only in providing our services via the hub, but also to engage the county in supporting and accessing the Boost suite of services.